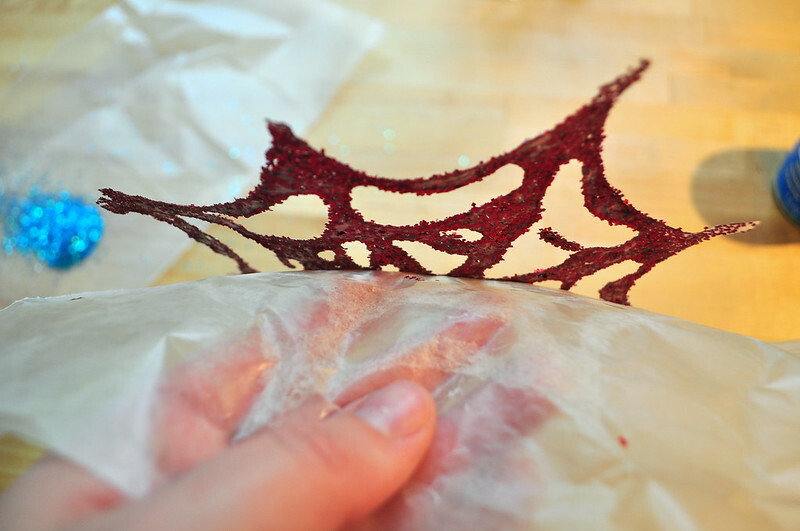 creepy cobwebs :: a halloween craft! we LOVE this easy and quick craft, which we found HERE. 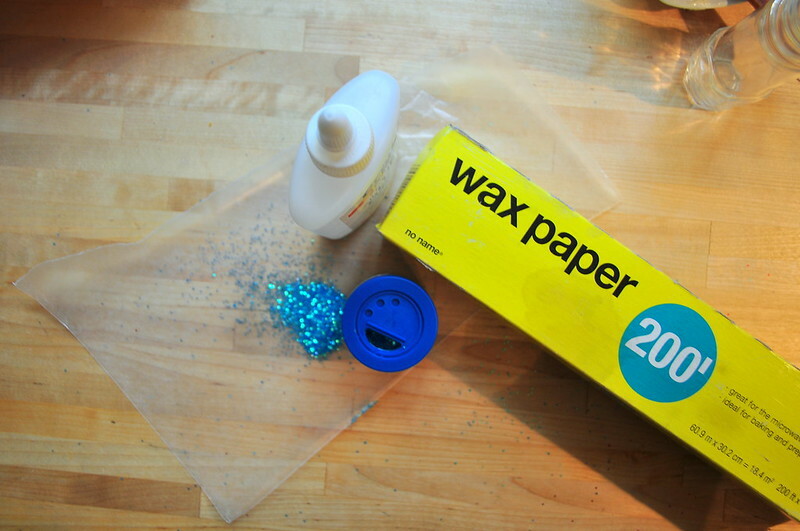 cut a piece of wax paper to desired size. take white glue container and gently squeeze out the glue, creating the cob web, i started with a + , adding diagonal lines and then the curved webby pieces. once you have made your glue web base, sprinkle on the glitter and jiggle the glitter around by gently shaking and curling your waxed paper. make sure you get glitter on all of the glue. place in fridge until hardened. ours took about 24 hrs. when the glue is hard all the way through, gently peel the glittery cobweb off of the wax paper and voila, you have a fancy decoration ready for use! * we tried using glitter glue, but it didn’t work at all. you can use the webs on a table top, a window or attach it to a wreath. the choices are endless, just use your imagination! let me know how your cob webs turned out! Wow..Thanks for this! i will definitely try it for some cards. I love glitter as I have a lot (too much to write down!). i’m thinking you could even mix one or two different colours together. post some pics and let me know when you do, i want to see your cards! I love this! I am just starting to think about Halloween decorations and this is wonderful. easy and fun. and the mess is easily contained, which is always a bonus! thanks for stopping by! That’s so cool! Love it! Neat idea. They look great! Oh wow, what a fun idea! We’re going to have to give this a shot. Thank you for sharing! thanks for stopping by jerimi! good luck with the craft!